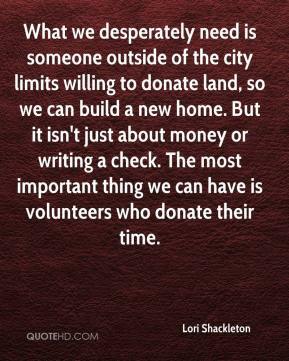 What we desperately need is someone outside of the city limits willing to donate land, so we can build a new home. But it isn't just about money or writing a check. The most important thing we can have is volunteers who donate their time. 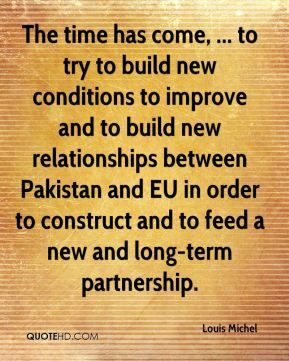 The time has come, ... to try to build new conditions to improve and to build new relationships between Pakistan and EU in order to construct and to feed a new and long-term partnership. The lesson I learned was: When in doubt, build your own damn truck. It's a lesson we all need to learn. You need to educate yourselves, learn every language you can. You need to not be a slave to the credit system and gain economic independence. 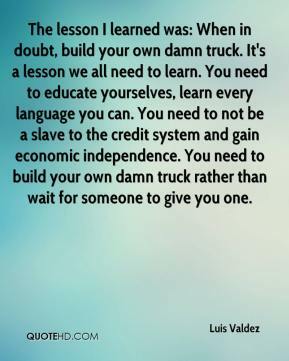 You need to build your own damn truck rather than wait for someone to give you one. We didn't expect it. 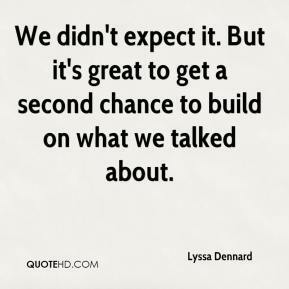 But it's great to get a second chance to build on what we talked about. 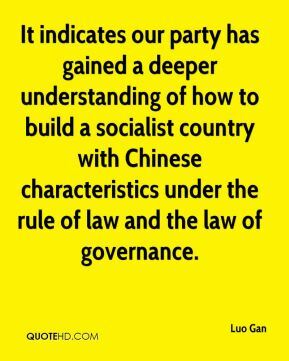 It indicates our party has gained a deeper understanding of how to build a socialist country with Chinese characteristics under the rule of law and the law of governance. 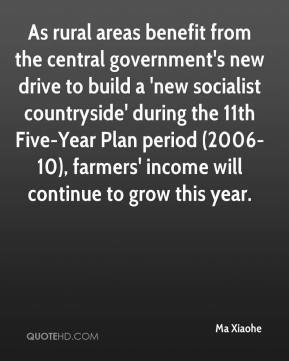 As rural areas benefit from the central government's new drive to build a 'new socialist countryside' during the 11th Five-Year Plan period (2006-10), farmers' income will continue to grow this year. We must each meet our responsibilities to eliminate threats, reduce tension, build confidence and expand ties. 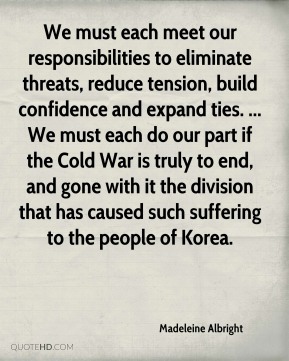 ... We must each do our part if the Cold War is truly to end, and gone with it the division that has caused such suffering to the people of Korea. 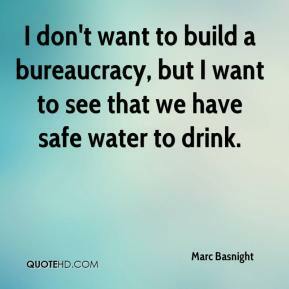 It took cutting through a lot of red tape to get the permission to build from the local authorities. 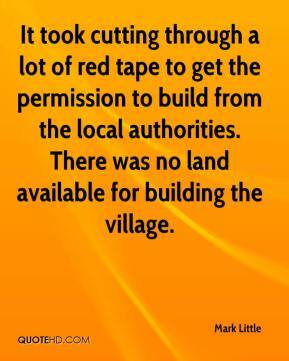 There was no land available for building the village. 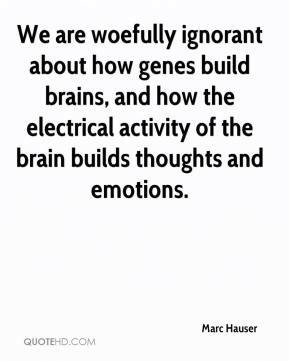 We are woefully ignorant about how genes build brains, and how the electrical activity of the brain builds thoughts and emotions. There are a lot of parallels between coal and nuclear energy. 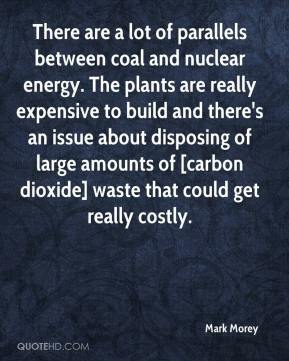 The plants are really expensive to build and there's an issue about disposing of large amounts of [carbon dioxide] waste that could get really costly. 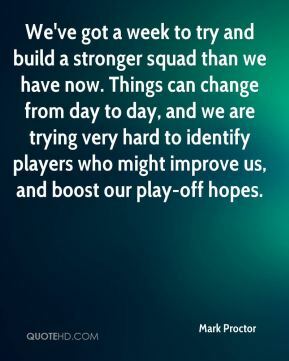 We've got a week to try and build a stronger squad than we have now. 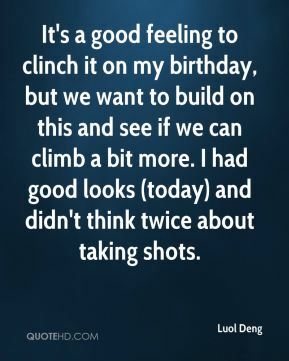 Things can change from day to day, and we are trying very hard to identify players who might improve us, and boost our play-off hopes. Funds . . . were not shared to build capabilities throughout a larger community. Now, it's forcing communities to apply together. 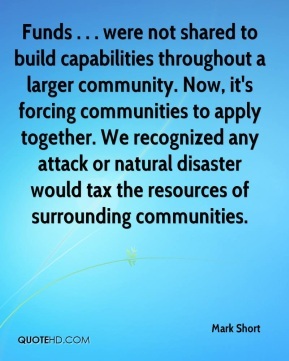 We recognized any attack or natural disaster would tax the resources of surrounding communities. 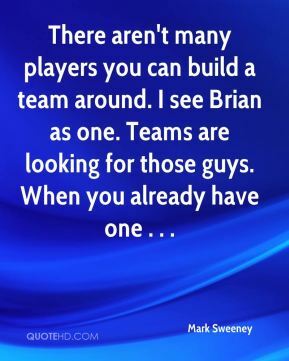 There aren't many players you can build a team around. I see Brian as one. Teams are looking for those guys. When you already have one . . . 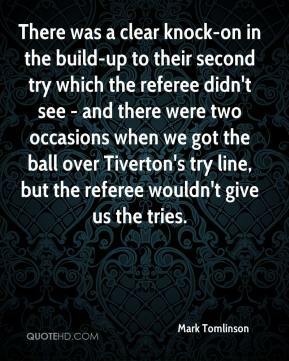 There was a clear knock-on in the build-up to their second try which the referee didn't see - and there were two occasions when we got the ball over Tiverton's try line, but the referee wouldn't give us the tries. 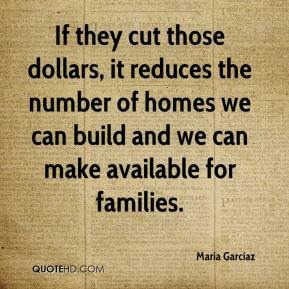 If they cut those dollars, it reduces the number of homes we can build and we can make available for families. It's right back where they were before. 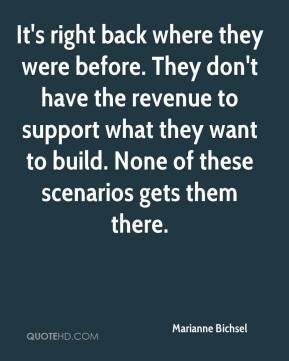 They don't have the revenue to support what they want to build. None of these scenarios gets them there. You cannot hope to build a better world without improving the individuals. 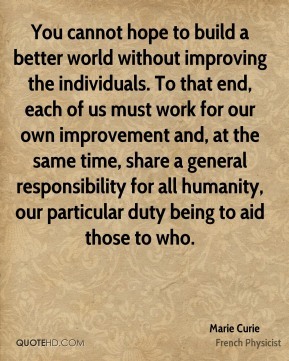 To that end, each of us must work for our own improvement and, at the same time, share a general responsibility for all humanity, our particular duty being to aid those to who. This is the third-world mentality. 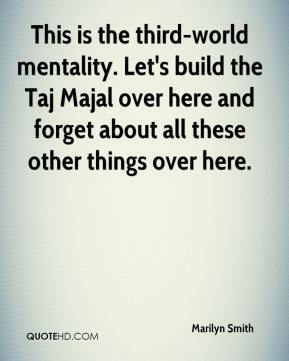 Let's build the Taj Majal over here and forget about all these other things over here. 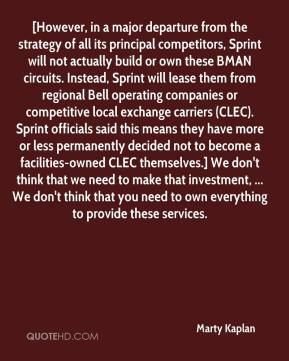 [However, in a major departure from the strategy of all its principal competitors, Sprint will not actually build or own these BMAN circuits. 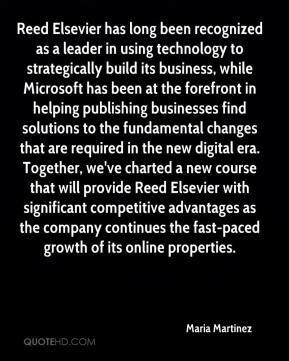 Instead, Sprint will lease them from regional Bell operating companies or competitive local exchange carriers (CLEC). Sprint officials said this means they have more or less permanently decided not to become a facilities-owned CLEC themselves.] We don't think that we need to make that investment, ... We don't think that you need to own everything to provide these services. 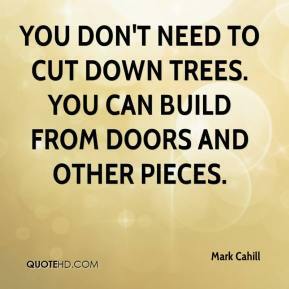 You don't need to cut down trees. You can build from doors and other pieces. 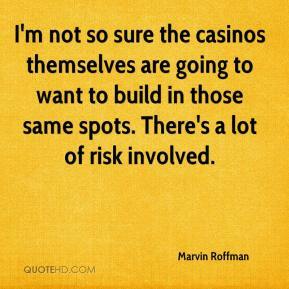 I'm not so sure the casinos themselves are going to want to build in those same spots. There's a lot of risk involved. 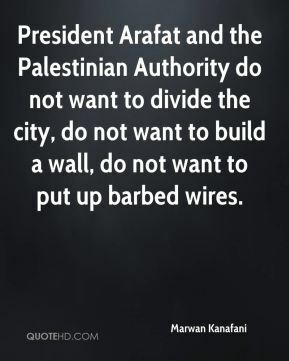 President Arafat and the Palestinian Authority do not want to divide the city, do not want to build a wall, do not want to put up barbed wires.